Supermarkets and food establishments work within a narrow profit margin. Costly mishaps, such as lawsuits, theft, employee dishonesty, personal injury lawsuits, and discrimination claims, can derail a supermarket’s already slim profit margin in an instant and destroy its bottom line in no time. 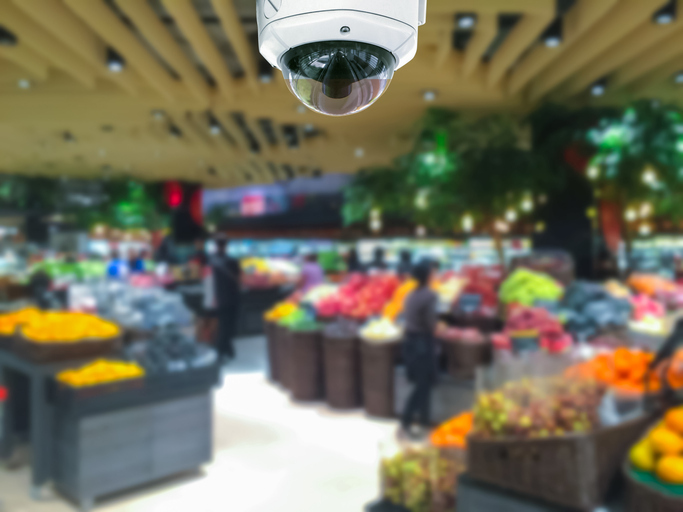 To combat such losses, grocery retailers have an ally in video surveillance technology. Video surveillance offers useful and cost-saving benefits and should be part of a comprehensive approach to safety and security. Video surveillance can help defend lawsuits, curb inventory loss, deter crime, and ensure business and safety protocols are met. It can even help control inventory losses by giving owners and managers a detailed look into what products are subject to theft and damage throughout the storage, stocking, and distribution process. Personal injury claims are among the most common types of lawsuits for supermarkets. A personal injury lawsuit may arise if a patron is injured at your store or if their property is damaged. The suit is based on the premise that your operation was in some way negligent, and that negligence caused the injury or loss. A simple slip and fall claim in your supermarket can translate into millions of dollars in losses. But a defense based on proper safety procedures and video surveillance can help you win the case. Theft is also a significant concern in the supermarket world. Shoplifting and employee theft are a growing problem for food retailers. According to a survey by the National Retail Federation, theft causes nearly $50 billion in retail losses per year. Video surveillance offers a three-pronged approach to controlling inventory losses due to theft. A visible surveillance system acts as a deterrent, aids an investigation if a crime does occur, and assists in developing preventative measures for the future. Visible surveillance systems deter crime by making your store a difficult target. Shoplifters are likely to move on to a store that doesn’t have visible video surveillance. Also, dishonest employees will likely refrain from stealing if they know there is an active surveillance system. If an incident does occur, video surveillance can help store management locate the criminal in real time. If the perpetrator does get away, high definition video can be a major boon to a law enforcement investigation. If your store does suffer from a robbery or crime, video surveillance becomes the linchpin of a successful audit, allowing you to identify what could have been done differently or better to prevent such crimes from taking place in the future. 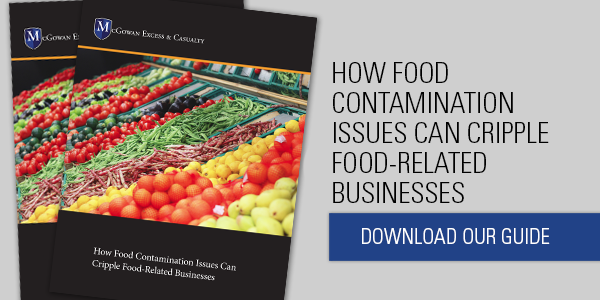 A single discrimination claim can quickly surpass the limits of a typical supermarket commercial general liability (CGL) policy. Even meritless discrimination claims must be defended or settled. Proper insurance is fundamental, but video surveillance can be very useful in handling a discrimination claim. For example, video surveillance focused on the customer service and cashier areas of the store can show whether your staff follows the same protocols and procedures for every customer. Many supermarkets are expanding operations to include wine and beer sales, prepared food, or other specialty services such as pharmacies or banking services. Along with extended operations and services comes additional liability exposure. Video surveillance can help mitigate those exposures in some cases. For example, suppose a supermarket gets named in a liquor liability suit. The suit alleges a cashier sold liquor to an underage patron, but you have video surveillance showing your employee practicing identification verification protocols during the exchange. The video may become part of your defense in the lawsuit. A video surveillance system serves as the eyes and ears of your store and can monitor areas prone to risk. For example, loading docks are often the sight of accidents and other hazards. A video surveillance system can help ensure safety protocols are followed during the loading and unloading hours. Video surveillance is a useful layer of added safety and security. As part of a comprehensive approach to loss prevention and safety, the technology shines. Still, lawsuits can arise at any time and can quickly exceed typical CGL limits. As supermarkets extend their offerings with products such as beer and wine and prepared food, exposure climbs. Video surveillance is helpful, but it isn’t comprehensive protection. For that, you need proper insurance. Partner with McGowan for access to our Grocery and Retail Store Umbrella program. 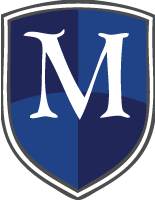 McGowan holds the power of the pen and provides in-house underwriting, policy issuance, and rating. We help your supermarket and retail risks get custom-fit and comprehensive coverage.